for the Generic Framework Report ! Click Here for our latest News Letter! 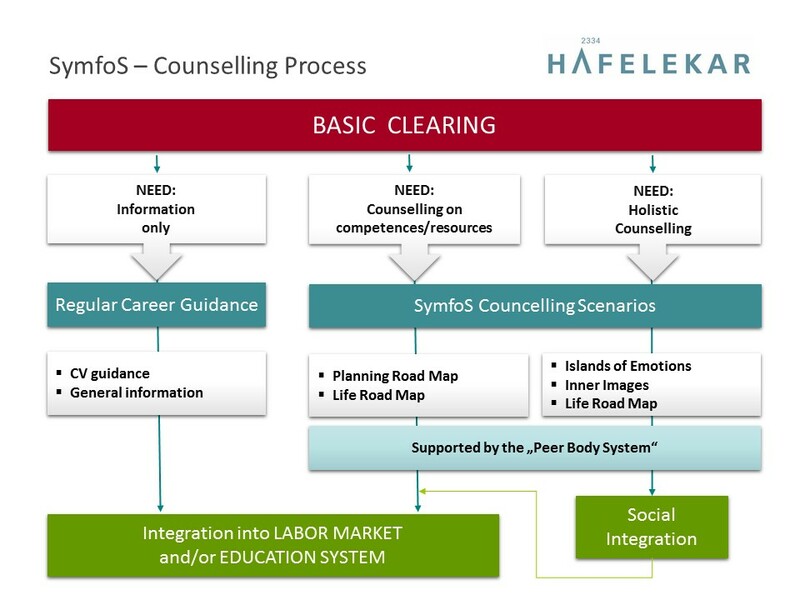 SymfoS – Symbols for success aims to trigger substantial improvements in the education and career guidance system for disadvantaged youth in Europe by implementing an innovative counselling method using sets of symbols. Based on the experiences of the ESF-Project “Perspektiven BildungOsterreich”, in which Hafelekar developed this method, we see high potential of Symbol work as an additional language for young people to express themselves. Youth unemployment in Europe is alarmingly arising from deep economic crises: Spain faces approx. 50% of youth unemployment, in Italy it amounts to 45% and in Ireland 22%. The situation in Austria and Germany seems to be better with only 8%. However, even here we see disadvantaged youth (e.g. migration background, low formal qualification) facing a doubled risk of unemployment (AT: 19,4% for youth with migration background) See: www.statista.com. 1.) Young people (15-25 years) facing problems in school or labour market (low qualified, job seeker, drop-outs, NEETS). To achieve inclusion, this definition is consciously set broad, but will be specified according to regional needs. Objectives pursued are effective support in motivation and goal-setting, discovering “hidden” resources, increasing self-responsibility and strengthening their social net by implementing a peer “buddy system”. The use of the universal language of symbols instead of writing will help to overcome resistance in active participation of individual problem solving. 2.) Career guidance officers in VET-providers, NGOs, youth centres and schools: Due to missing compulsory curricula there is often a lack of methodological knowledge and tools for dealing with disadvantaged youth. 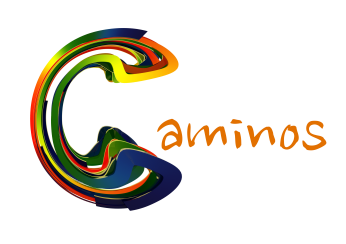 SymfoS aims to support them with a holistic approach, centred on the individual needs and goals of young people and strengthening the self-help potential of clients and peer groups. This leads to improved quality and higher success rates of counselling processes. 3.) Decision makers in VET providers, NGO, youth centres and schools: The key lesson learnt from prior projects is to involve them in an early stage of implementation. Career officers need a suitable framework (mandate, resources, QA, commitment from management) to work properly; this has to be included in the planning of new services by organisations and proposals for public funding. SymfoS will create an intense dialogue with management and provide them with checklists and business models (how to “sell” this approach to funding bodies). “Strategy on Entrepreneurship and Youth Employment” in ES) we see the necessity to focus on the individual support of disadvantaged youth. These strategies often do not work for clients who face multiple barriers to labour market participation and require more individual support. To face youth unemployment is not a national, but an important European challenge. Strengths and weaknesses in guidance systems are similar, even if labour market conditions are different. Common issues are low opportunities for low qualified, resistance, lack of motivation and self-help activities. Regular guidance processes focus on short and simple interventions for simple problems and limited flexibility for individual solution finding. Widespread complex text-based methods are not suitable for disadvantaged young people and there is an urgent need of alternatives like Symbol work in all areas. This project set up a highly experienced partnership from different countries with different preconditions, but high potential to share different experiences and knowledge in the various career education systems in Europe. Sharing best practice will improve the quality of services delivered in all partner countries.